Joey Brooklyn's Famous Pizza Kitchen. For over 15 years now, Joey Brooklyn's has been satisfying the cravings for the Downtown St. Petersburg & Tampa Bay area. Its relaxed downtown café atmosphere plus being located in the infamous 'Jannus Landing' block has made it a staple for both daytime lunches and late night after-party binges. Serving happy customers at all different hours is what lead to Joey Brooklyn's to keeping their doors open from 11:00am to 3:00am - everyday! 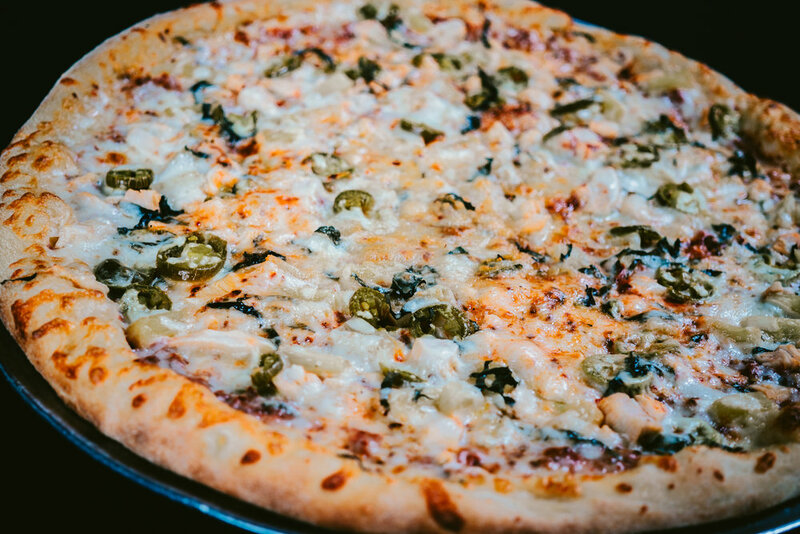 We proudly serve award winning New York style pizza, calzones, sausage rolls, Italian pasta, grinders and jumbo wings with all the freshest local produce and the finest Italian cheese money can buy. How does such a small place do so much? Go get in line and see for yourself. You'll be glad you did.